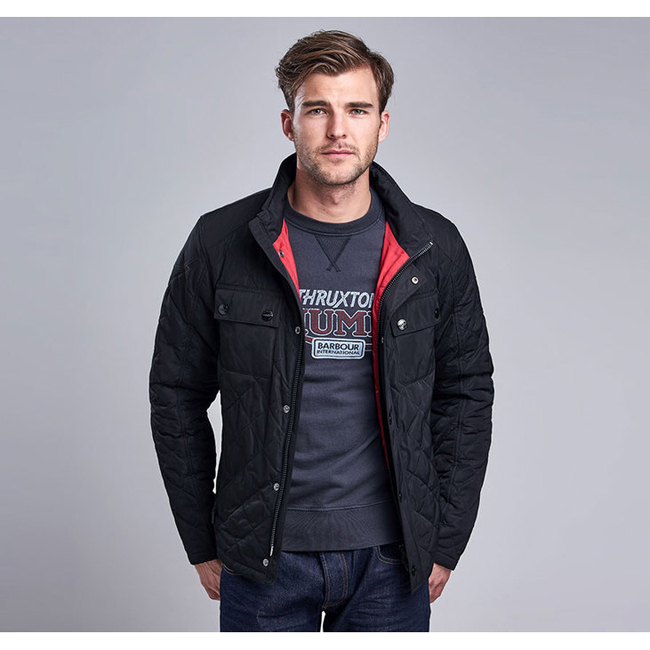 This biker-inspired men's quilted jacket is part of the Barbour International x Triumph collection. It's styled with the iconic four-pocket set-up and features a roll-away hood and an underarm expansion panel for extra practicality. Purchased for my father. He loves these jackets. They are soft, a perfect weight for everyday wear, and the length is great for his longer waist.